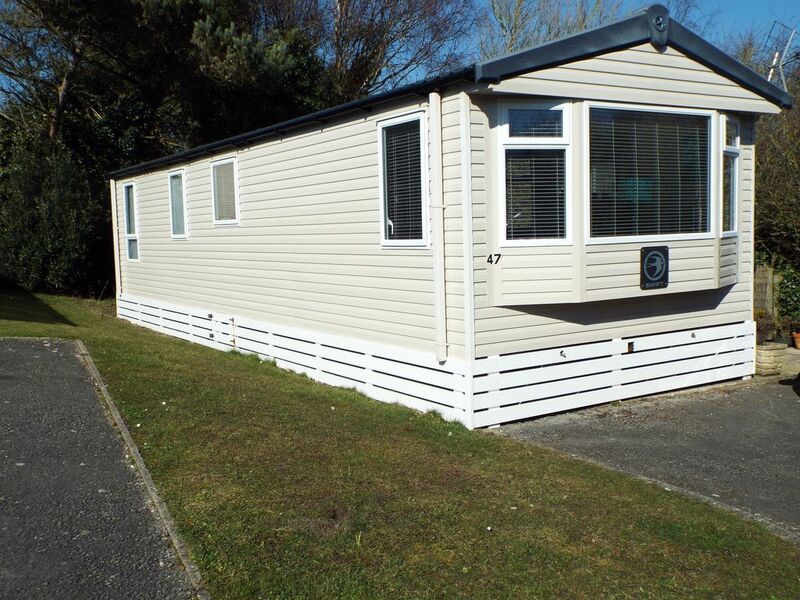 Located on a quiet corner of popular Shorefield holiday park in the New Forest, this spacious and modern caravan is within close proximity to the amenities of the park, yet remote enough to enjoy some peace and privacy in the height of the summer months. Ideal for two couples or a large family, the caravan features one double and one twin bedroom as well as a double sofa bed in the living area. The modern bathroom offers a toilet and walk in shower, while also offering a separate W.C. The kitchen is fully equipped to self cater for every meal with gas hobs an oven and microwave as well as a fridge/ freezer for storage. Crockery, cooking utensils and cutlery are all provided. The park itself offers great facilities for all with a family friendly club house serving breakfast, lunch and dinner as well as entertainment in the peak times, an outdoor swimming pool (open throughout the summer), playground, tennis court and luxurious leisure centre featuring a full gym, indoor swimming pool and jacuzzi. Just a ten minute walk from a pebble beach and on the edge of the New Forest itself, the caravan location offers a perfect mix of coastal and woodland scenery popular with keen walkers, horse riders and mountain bikers. Further afield, the popular town of Mudeford can be reached by car in 20 minutes while stunning Sandbanks is 40 minutes away. Younger families can visit Paultons Park, home to Peppa Pig World in just 30 minutes. This is the perfect getaway whether looking for a long weekend or extended stay in the New Forest. The caravan was lovely and spacious, everything was very clean and new and it was very well equipped. The site itself was very nice and in a good location for exploring the surrounding villages and towns. Milford on Sea is a lovely little village just a couple of miles away, we also visited Christchurch, Bournemouth and Sandbanks which are all easy to get to from the caravan site. Very relaxing despite having 3 children with us! Very clean property with everything that you need. Beds were comfy. Lovely and peaceful too - lovely sport on the site. The caravan was clean and tidy. The main bonus was that they supplied bed linen and the beds were already made up on our arrival. I was also very grateful that they provided towels, as I had forgotten to pack any! There is plenty of living space and seating to enable everyone to spread out and sit comfortably. The master bedroom also has a private toilet which is invaluable when you are staying with 2 teenagers! Also the shower in the other bathroom is a nice size. The caravan is located at the end of a small cul de sac but you don't have space at the side of the caravan to park the car which meant there was only enough space for one car to park outside the front of the van. It was no problem for us as we only had one car. Nevertheless, we were very happy with the caravan. This is a really comfortable and well equipped caravan - everything that you could want. Four of us stayed and there was plenty of room. The location is great. A very nice holiday park with good facilities and within walking distance of the beach. Plenty to do and see in the local area but if you want a relaxing break without moving too far the property is a good place to be! Would definitely visit again, and recommend this for couples or families. Really impressed with the Caravan, particularly for the price. True value for money. It's in a nice quiet part of the site, so easy to relax & chill. Lost a star purely because we could only find one saucepan, & there was no outdoor seating so we could enjoy the lovely weather. Other than that, it really was a well equipped, clean, modern caravan. The hairdryer, towels & ready made beds are a godsend.